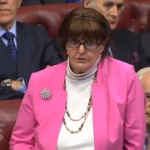 On 20th December 2017, Baroness Cox and other Peers asked the UK Government about their role in the current situation in Syria, and what they intend to do to rebuild the country after years of ongoing and devastating war. To ask Her Majesty’s Government what is their assessment of the current situation in Syria. My Lords, we welcome the progress made in the fight against Daesh, including the liberation of Raqqa. However, the Syrian crisis is far from resolved. Violence continues and the humanitarian situation is dire. Eastern Ghouta, which is besieged by the regime, is a particularly tragic example. A political transition is the only way to bring sustainable peace to Syria, and we support the Geneva process. All parties must work constructively towards a political agreement. My Lords, I thank the Minister for his reply. Is he aware that, during a recent visit to Syria, I and colleagues met faith leaders, medical professionals, intelligentsia and parliamentarians, including the political opposition? All expressed deep anger at the UK Government’s massive funding, of at least £200 million, of bodies allied to jihadists. A recent BBC “Panorama” programme showed UK taxpayers’ money given to police assisting atrocities such as stoning victims. Can the Minister say when the UK will stop funding Islamists? As the end of the war against ISIS and other Islamist militias approaches, will the UK Government help all the people of Syria with urgently needed funding for reconstruction to enable people to return to their homes? My Lords, on the second question raised by the noble Baroness, the Government’s position has been clear: we will aid the reconstruction of Syria once a peace process has been resolved and the prevailing conditions are such that there is stability in Syria. On the noble Baroness’s first question, she referred to the “Panorama” report and the £200 million. That relates to the CSSF, which the Foreign Office administers. As she will know, there are various parts of that funding; the component part that was reported on in the “Panorama” programme related to funding of the police force. The source of that funding, including who we fund through, has been put on hold pending full investigation. I am sure, however, that she would also acknowledge that £45 million of that particular funding pot supports the initiatives—and indeed the incredible courage—of organisations such as the White Helmets. My Lords, sadly, it looks like the Geneva talks will collapse, mainly because Assad’s brutal regime refuses to talk to anyone who opposes his view. I appreciate the Government’s commitment to the process but, in the light of this, what is their plan B if Assad refuses to participate at all in the Geneva talks? The noble Lord raises an important point about the current regime. As he, and indeed many noble Lords, will know, while the regime is being represented at the Geneva talks, which the Government and other international partners support, it is not engaging directly in the substantive discussions with the Syrian opposition that are taking place in Geneva. We remain absolutely focused on making those talks work. In our bilateral discussions with other key players, such as Iran and Russia, who have greater influence over the Syrian regime, we are imploring them to ensure that the Geneva talks get the kick-start that they desperately require. My Lords, are there not constructive steps that Her Majesty’s Government could take now: first, to have some level of diplomatic representation in Damascus, since we have full representation in such places as Russia, Iran and even North Korea; and, secondly, to start to eliminate sanctions, beginning with those on education, culture and sport? All the non-government Syrians whom we met on our recent visit assured us that the sanctions do more harm to the Syrian people and affect very little the Syrian regime. First of all, the Government have no plans to reopen an embassy in Damascus until such time as we see a meaningful transition away from the Assad regime—that position has been made clear—and the position is in the hands of the civilian population and the communities themselves. In terms of the sanctions, I do not agree with the noble Lord. As I am sure he is aware, the sanctions that have been imposed include travel bans and asset freezes against 300 persons and other entities that are linked directly to the Assad regime, and they remain in place. My Lords, barring the unforeseeable, President Assad will remain in place until 2021, or until the Syrian people elect a successor. Three years is a long time, and mention has twice been made of sanctions on Syria. I do not think anyone expects sanctions to be lifted on the Syrian military, for example, but the country is, as the Minister recognised, suffering severely from food, clothing and especially medical shortages. As the formal position is that humanitarian aid is not embargoed, but in practice the controls on the mechanisms for financial transfers are considerable, and the acquisition of medical aid is severely sanctioned, does the Minister see scope for a review of humanitarian aid in Syria based on a more calibrated policy of exemptions or licences for the purchasers and purveyors of humanitarian aid? I assure the noble Earl that, as others in your Lordships’ House know, the Government have taken a very firm line on ensuring, and, indeed, leading the way on ensuring, that in particular the NGOs working in the context of the Syrian conflict and in Syria get the necessary exemptions to allow them to deliver humanitarian aid. He will also be aware of the UK’s contribution: we are second to only one other in our contribution of close to £2.5 billion-worth of aid, assistance and humanitarian assistance that we have given. He may also be aware that we were very pleased to note the renewal of UN Resolution 2165, on the cross-border provision of humanitarian aid directly to Syria without the approval of the regime. That underlines the humanitarian commitment and support that the UK Government are delivering to the war-afflicted people of Syria through DfID and other NGOs working with great courage on the ground. My Lords, it is the turn of the Bishops’ Benches. My Lords, would the Minister agree that there is a danger here that support for, and funding of, anti-Assad forces, however understandable that may seem from the outside, might lead to exactly the same unintended consequences that we have seen in Iraq—namely, the strengthening of anti-democratic Islamist forces who have no intention of delivering the freedoms that we assume they should? I assure the right reverend Prelate that the Government are very cognisant of the situation he has illustrated. We remain absolutely determined to ensure that all the delivery mechanisms for any funding that is provided, through the Foreign Office funding pot or DfID agencies, are robustly challenged and checked. In the case illustrated by the noble Baroness, Lady Cox, we will cease funding until we are satisfied that those in receipt of the funds fulfil the mandate of ensuring that they bring peace to the civilians of Syria and ensure equity and justice for all communities across Syria.